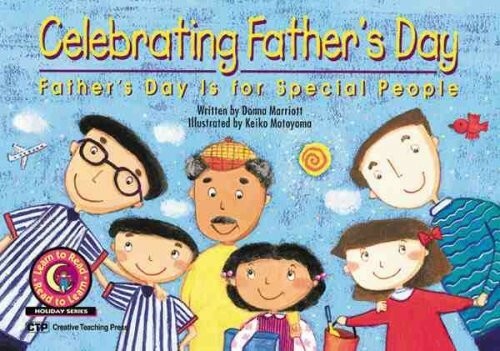 When I pulled the book Celebrating Father’s Day: Father’s Day Is for Special People (Creative Teaching Press) off the spinning rack at the classroom supply store nearly a decade ago, I had no idea it would become a foundational teaching tool for my kids, who have two moms. While my toddlers wreaked havoc on the alphabet block display, I flipped through the 16-page story. Though my kids were not in school yet when we first read the book, I appreciated reading a story that identified an uncomfortable situation my kids were likely to face and showing them that they would not be alone. Additionally, the book offered creative solutions for children and teachers alike. Since the book was very inexpensive (a little over $3), I bought several more copies to share with for my children’s future teachers and classrooms. Although Celebrating Father’s Day’s target audience is preschooler to early readers, my boys and I still revisit the book’s final message every year: “Father’s Day isn’t just for fathers. Father’s Day is for special people!” For our family, Celebrating Father’s Day helped turn a day that could feel awkward and isolating into an opportunity to reflect on and express our gratitude to the men who enrich our lives.